UAVs or drones are devices designed to replace people in areas where human presence is exposed to potential danger or where productivity is inefficient in comparison with the productivity of remotely controlled devices. The term “unmanned aerial vehicle” refers to any remotely controlled aircraft whether it be a toy helicopter for $99.00 or the MQ-9 Reaper which costs $16.9 million. Drones vary greatly in size, shape, take-off weight, range, etc., and certainly, in price. Large and medium drones resemble either planes or helicopters, while small and very small UAVs are almost always quadcopters or multicopters (with 6 or 8 blades). The latter also have various shapes and sizes (there is even a drone that resembles a travel thermos, Sprite). The smallest category includes microdrones which can be insect- or bird-sized and also look like them. For example, you can find UAVs that are like hummingbirds and dragonflies. However, this type of drone is not widespread yet. Several decades ago, UAVs were too expensive for everyday use, so their application was limited to the military, where technologies have always been one step ahead of civil solutions. The opportunity to build drones for everyday use began with the development of drone technologies and the reduction of manufacturing costs. This trend is leading to the wide appearance of multicopters (quadcopters), as they are the most cost-effective drone type nowadays. One of the first notorious quadcopters was probably Parrot Ar Drone, which was rolled out in early 2010 and became popular among the fans of high-tech innovations. It had 2 VGA cameras (640*480 pixels resolution), 802.11 b/g Wi-Fi, 3 axis accelerometer, 2 axis gyrometer, 1 axis yaw precision gyrometer, 4 brushless motors, and a lithium polymer battery (3 cells, 11.1V, 1000 mAh) on board. Parrot AR Drone’s configuration allowed it to fly about 12 minutes with a running speed of up to 5 m/s (18 km/h) and a flight range of up to 50 meters. It was the success of the first devices that initiated the quadcopter market race and helped the market reach a new level. A few years later, new overwhelming quadcopter models came to the market. At that point in time, a new player, a Chinese company DJI, offered quadcopters for sale which had a relatively affordable price, fine in-flight performance, and were upgradable. Users could increase the flight range by expanding the time of autonomous flight with the help of more powerful batteries, as well as improving the FPV system (install better cameras, extend the video signal range, etc.). Therefore, DJI designed the most advanced quadcopters which other consumer quadcopter manufacturers modeled theirs after. At the present moment, new players are coming to the market to offer their solutions. Therefore, the copter market shows such tremendous growth that it will be largely saturated within the next few years. According to TechCrunch, the drone market is predicted to generate $90 billion in five years, so that over 30k of drones will perform flights by 2020. The range of the drone application expands each year due to further development of technologies and cheaper production as well as growing competition. A good reason for the drone market’s growth is also the release of modular programmable drones which can be customized, i.e. equipped with any sensors, gimbals, etc. Below are the most striking market entries. – 3D robotics Solo has a modular design and customizable quadcopter software. This drone has a special AERIAL PLATFORM – DroneKit, which provides SDK and web API to meet any specific needs. – DJI Matrice 100 is a programmable modular quadcopter, which supports DJI SDK and has module compartments for various optional modules. – A new free ARDrone SDK3 for Bebop Drone and MiniDrones was released in November 2014. With its help, it is even simpler to develop custom drone mapping software, take pictures, stream videos, make demos program routes, and make snapshots of particular objects. Even ten years ago, the costs of drone implementation in all the above mentioned areas were too high for most small enterprises. 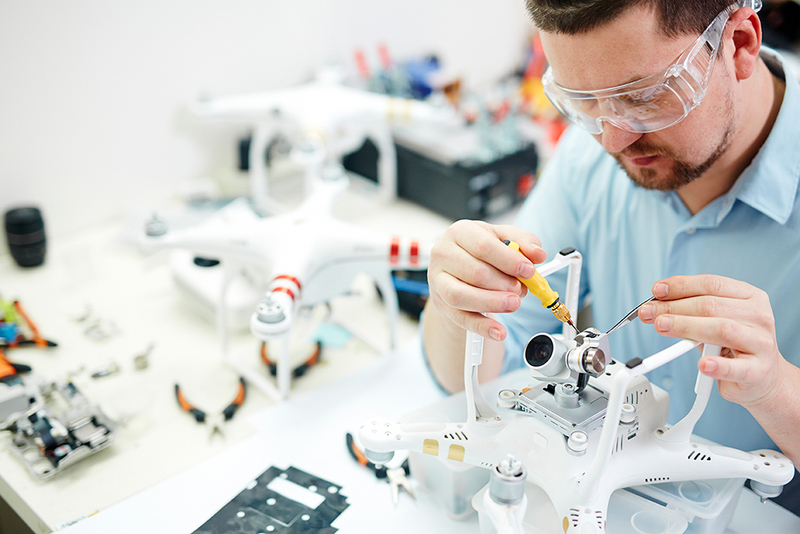 The reasons for the progress in drone development are the cheapening of technologies, the release of open platforms for equipment updates, as well as the development of drone software for aircraft control, which made these technologies available for a wide range of prospective customers. 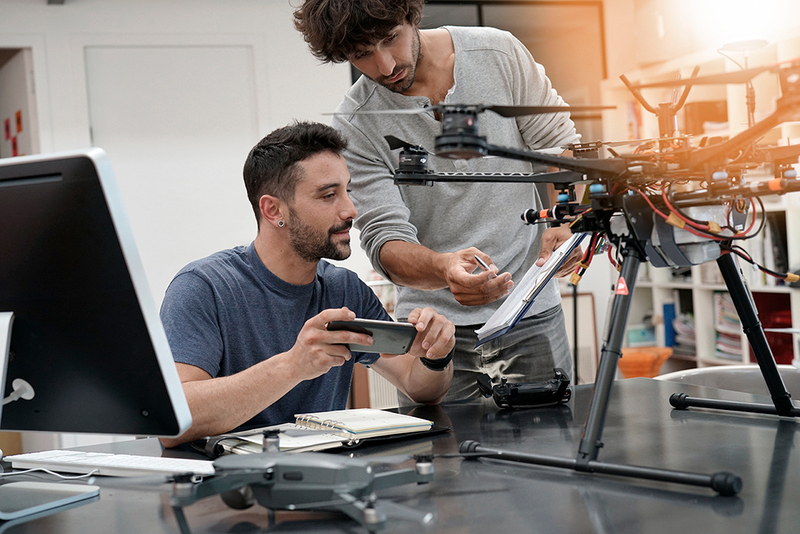 Via drone SDKs, drone custom app development helps enable the optimization of manufacturing and vital processes and make them more efficient, i.e. optimize efforts, reduce project time, and save money.